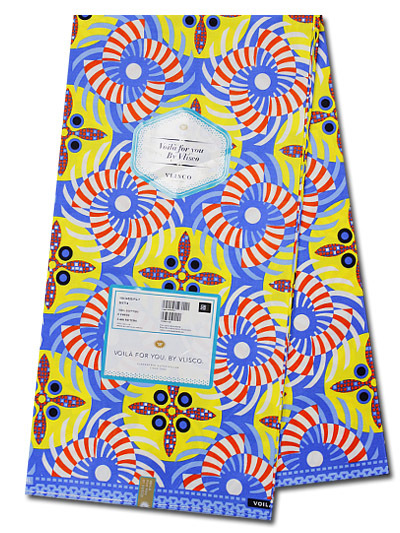 Although wax fabric is traditionally used for African fashions, many producers of wax prints are based in Europe. In fact, prior to the 1960s, almost every wax fabric sold across Africa was produced in Europe. Today, however, Ghana is becoming a major production centre of wax prints. Home to high-quality wax print manufacturers, such as Akosombo Textiles Ltd and Woodin, Ghana was one of the first countries to adopt the fabric as a symbol of fashionable, high quality African clothing. During the 19th century, a wax-resisting dyeing technique to create patterns known as Batik was used in Indonesia. Mass production became possible following the introduction of roller print machines and the fabric began to gain popularity across Europe. The Dutch played a major role in industrialising Batik production techniques, promoting the textiles in overseas markets, including Africa. In particular, the van Vlissingen family established a company in 1846 that assured the mass production of Batik dyed fabrics in Europe, establishing today’s enduring and popular Vlisco brand. The wax prints found a substantial market on the Gold Coast, a British colony that became the independent nation of Ghana in 1957. 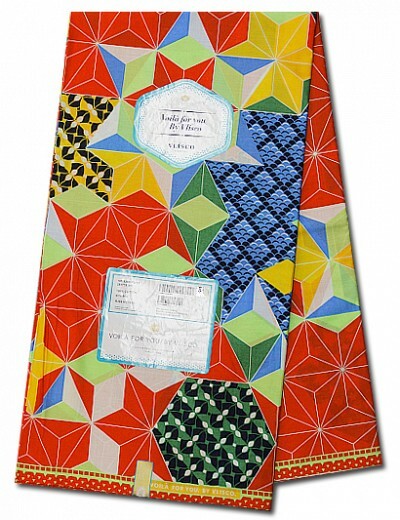 From the Gold Coast, the fabric spread across other Central and West African markets. By the end of the 19th century, the wax fabrics manufactured in Europe were selling well, with the printed pattern continually being adapted to suit African buyers’ tastes. West Africa truly embraced wax prints as a staple fashion essential. Embracing European-manufactured wax prints as a West African fabric wasn’t as unusual as it sounds, since the continent had always been a healthy market for textiles, with various fabrics an important aspect of African social life for centuries. As early as the 16th century, the English, Dutch and French had sold various textiles to West African markets, so local consumers weren’t strangers to wearing globally-produced fabrics. Since the early 20th century, more effort was made to design motifs specifically linked to African culture. In the 1920s, prints featuring portraits of community leaders and chiefs were manufactured, so consumers could buy them in order to celebrate their heritage. The tradition continued in the 1950s with portraits of African heads of state and politicians used as design motifs. Today, wax fabrics are acceptable for many occasions in West and Central African culture, including weddings and other traditional ceremonies. Wax prints still represent an enormous amount of prestige, with modern-day prints containing motifs that have been designed specifically for the West African Fashion market.